The Maplewood Lion Club donated many band aids, sticks of gum, and books to kids being treated for cancer, Verneal Barlow, Lions Club service coordinator, reported. 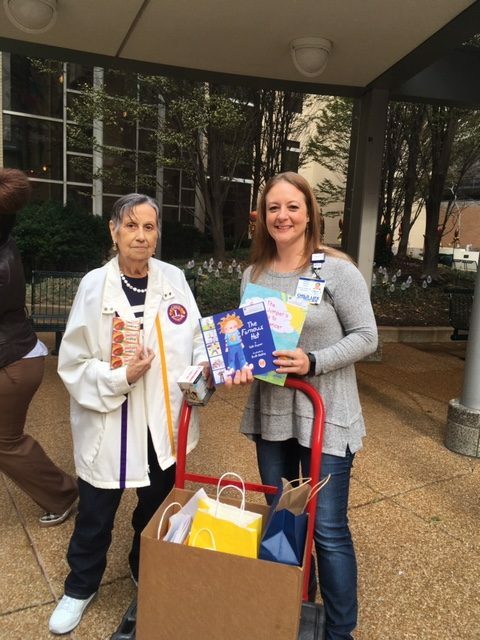 Maplewood Lions club president, Judith Yingling and club service coordinator, Verneal Barlow delivered all these items to Jennifer Brandt, senior child life specialist, to be used by the Siteman Kids patients receiving cancer treatment at Children’s Hospital. It’s a part of the pediatric cancer program of the Maplewood Lions club. Ms. Brandt said the delivery was “very timely” as they had just ran out of flavored chewing gum. According to Ms. Brandt, when the kids get a shot they like to pick their own cartoon-character band aid, and during treatment they get a bad taste in their mouth and chewing flavored gum helps a little bit. The books are a teaching method for the kids, as well as their families, as a way to understand what to expect during cancer treatment. The Maplewood club members had a good time looking for various flavors of gum and found more than a dozen different kinds including watermelon, strawberry, and mint chocolate-chip. Verneal Barlow, Lions Club Service Coordinator (left), Jennifer Brandt, Senior Child Life Specialist at St. Louis Children’s Hospital. 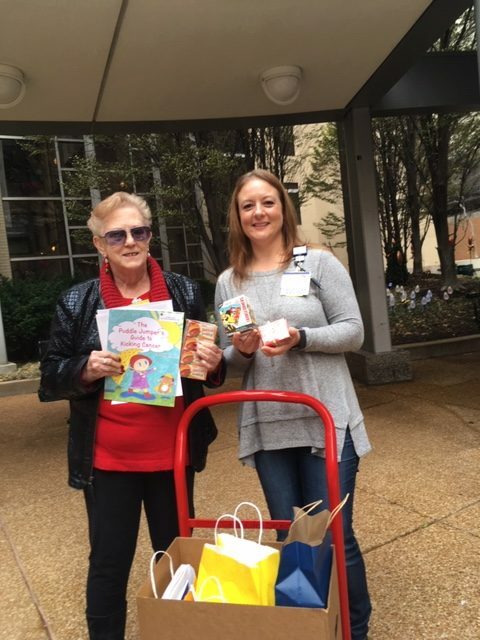 Judith Yingling, Lions Club president (left), Jennifer Brandt, Senior Child Life Specialist at St. Louis Children’s Hospital.